Now, if it can hit that high of a speed, then we can assume that the 911 GT2 RS is able to beat the current record holder among non-road-legal vehicles at the Nurburgring that is the McLaren P1 LM with a lap time of 6:43. Incidentally, the Porsche 918 Spyder had broken the record in September 2013, with its 6:57 lap time. 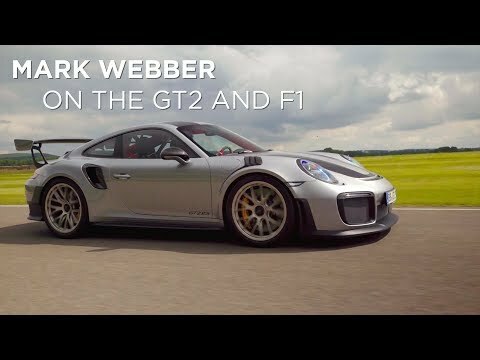 However, the GT2 RS has not been put to the test yet, and we have to wait for the time to come, like what Walliser said. But then, Walliser said that the supercar isn’t really about lap times, and it is also not about being the fastest car. To give you some idea about its specs, the Porsche 911 GT2 RS weighs around 3,200 pounds. The engine produces almost 700 horsepower, and 553 pound-feet of torque, delivering power to the rear wheels. The said model comes equipped with 20-inch front and 21-inch rear wheels with ultra high performance tires in 265/35 and 325/30 sizes. Carbon-ceramic brake rotors are standard too. If 3,200 pounds is not light enough for you, customers can go for the optional Weissach package that even reduces the weight by 40 pounds with the magnesium wheels that will replace the standard ones. This is also the first ever 911 to wear the GT2 suffix since the short lived 2011 GT2 RS. The limited run 911 GT2 RS has a price tag of $246,000.